To test Titleist’s new 917 F2 and F3 fairway woods, we travelled to the brand’s National Fitting Centre at St Ives GC to go through the process. We suggest every player get fit for new clubs, in order to get the maximum benefit from your new sticks. 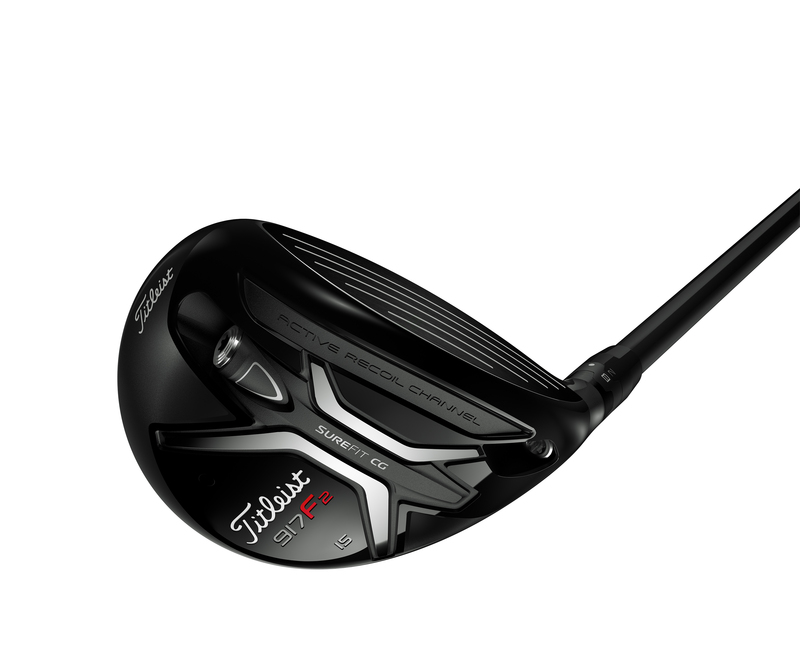 Titleist has moved from a black finish a to a silver one in its new fairway wood. The profile of the club remains traditional, and similar to the previous iteration. Sat behind the ball, it has a classic, classy look, that will appeal to many. Overall, it has an uncluttered, chic aesthetic, and we like it a lot. Like the 917 drivers, the feel and sound of the fairway woods are absolutely superb. Feedback from Tour players and customers prompted the brand to alter the sound in the new clubs, which is now a full-bodied, lively thwack – superb. The overall feel is soft, although there is still heaps of feedback on offer. The feel also stays relatively consistent across the face. 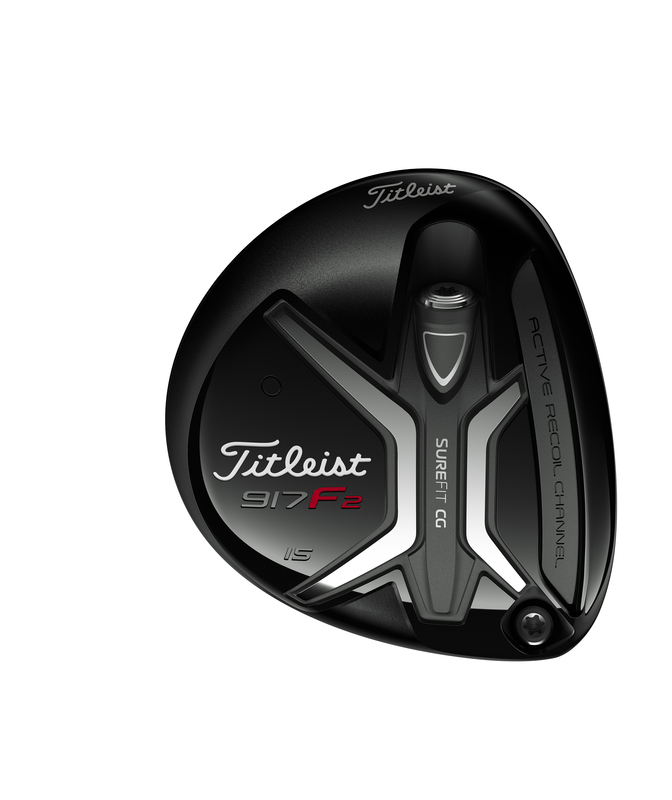 Titleist has built on some of its successful pieces of technology from past products and upgraded them in order to bring its most forgiving fairway to market in 2016. Its updated Active Recoil Channel 2.0 combines an elastomer insert, and is open ended inside the club in order to get maximum performance. The channel works like a trampoline, flexing at impact. This serves to increase ball speeds across the face, while also lowering spin for maximum carry and total distance. In conjunction with this comes a variable thickness face insert, which increases ball speeds across the face, to help on those off-centre shots. 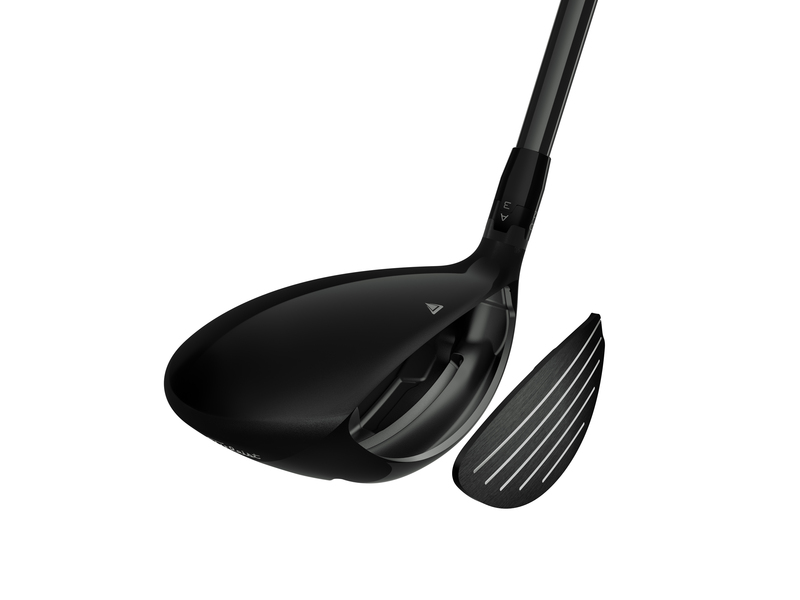 This is one of the most forgiving fairway woods on the market, and is up there in terms of distance to boot. We were averaging 250 yards from the deck on a blustery day. As expected, it comes with bundles of adjustability. 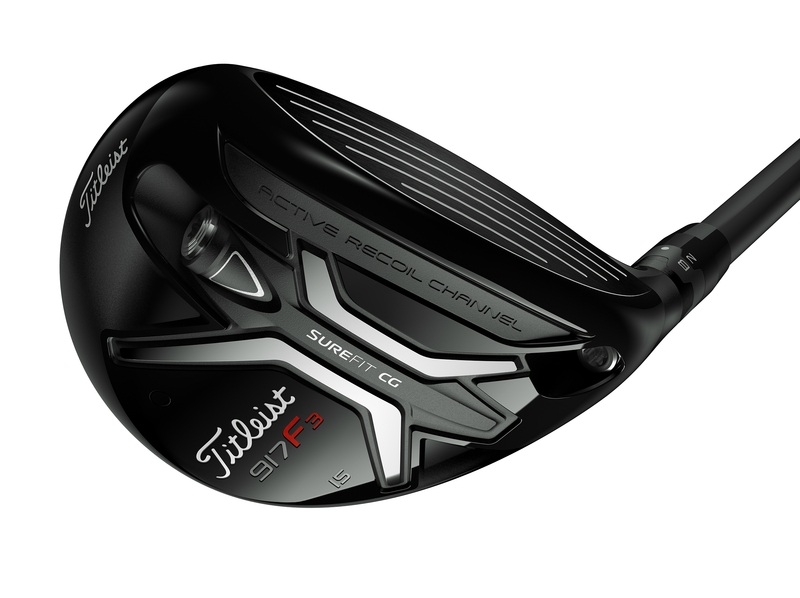 Its popular SureFit Hosel remains from the previous iteration, allowing players to adjust loft and lie, but the biggest update comes with a SureFit CG Weight. 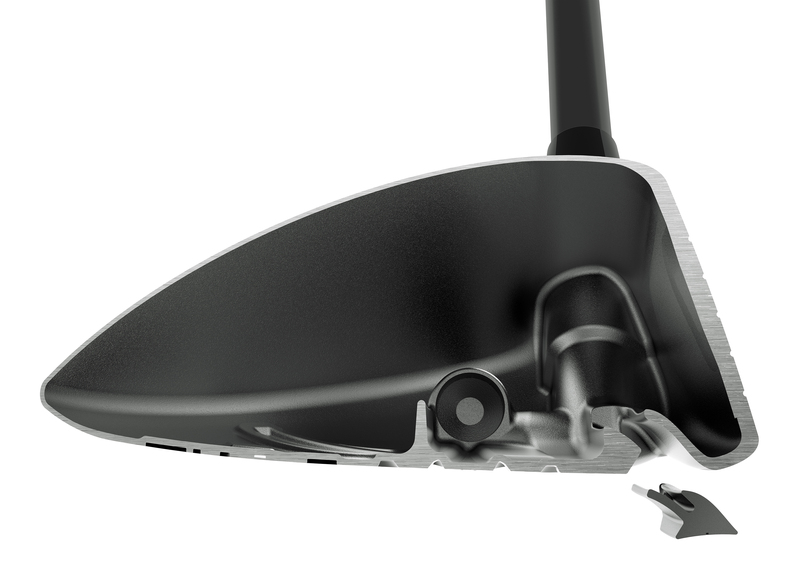 This is a slot on the backside of the club, behind the Active Recoil channel, that houses a weight diagonally. The weight can be neutral, draw or fade bias, which will promote different shot shapes, or straighten out a certain shot shape. The CG can be moved forward, back, to the toe or heel. It also allows adjustment to the swing weight of the club. The reason Titleist are using this system and not a sliding weight on a track like other brands is because they believe the track adds too much weight to the head, and their system allows them to better manipulate CG. 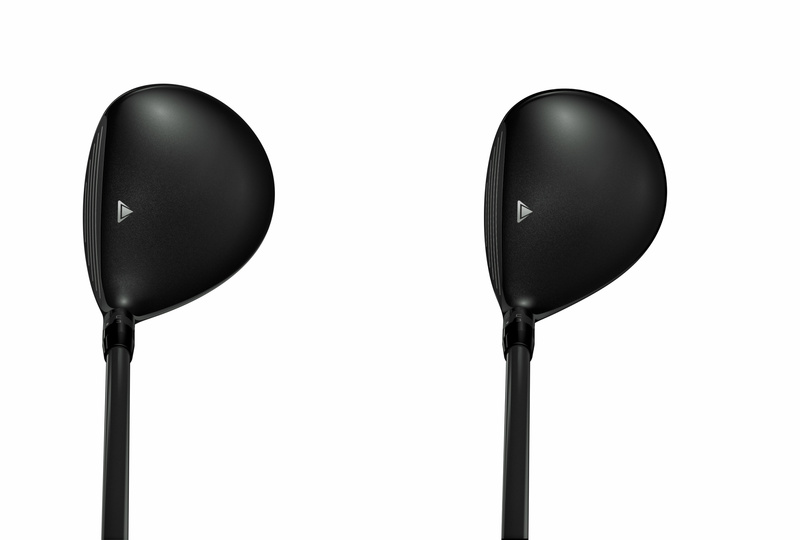 The 917 fairway woods launch higher than the 915 models, and have similar spin rates – great for attacking greens. Both from the tee peg and the deck, the 917 models work superbly, getting the ball up in the air quickly, and flying long. The fairways come with a choice of four shafts, one more than came with the previous model. Of the two, the 179cc F2 has a fuller profile compared to the 169cc F3, which also has a deeper face. The aesthetics and feel are almost identical. The smaller head on the F3 makes it slightly better at manipulating ball flight and shot shape, but loses out on a bit of forgiveness because of this. 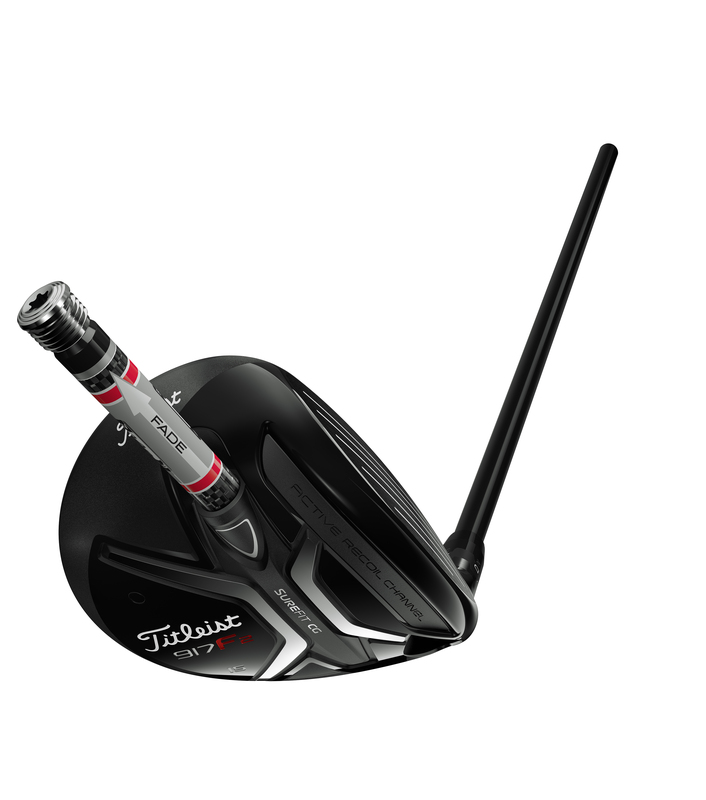 A stunning offering from Titleist, with improved sound compared to its forbearer and loads more forgiveness. Not only are the products easy to hit and get airborne, but there are heaps of adjustability behind them to help golfers of all abilities find the exact fairway wood to suit their game. 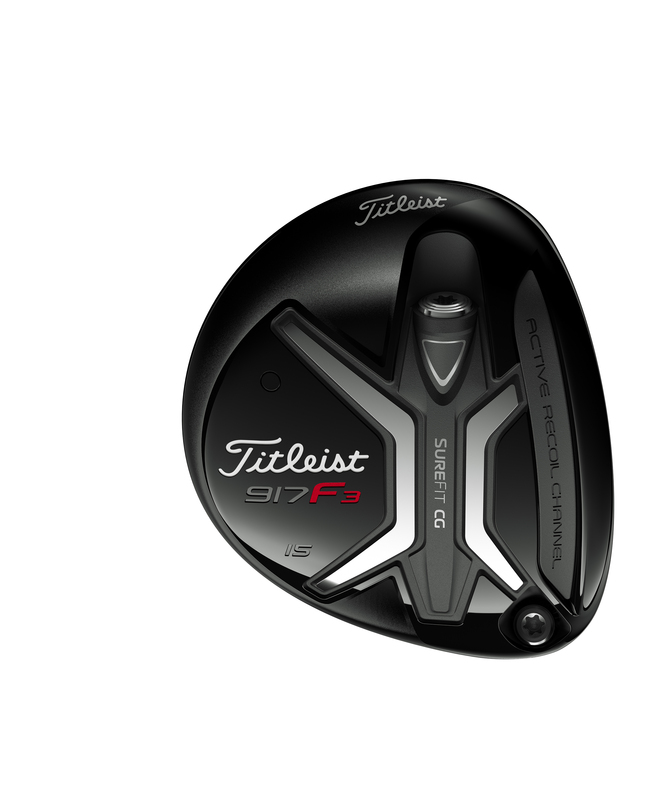 Head to Titleist's website for more information.